‘You cannot criticize a man for going to work. You really cannot,’ says Celebrity Chef Marco Pierre White. ‘But you can criticize a man for choosing to go to work as a pimp and a whore,’ says a reader on Eater. White became the brand ambassador for Knorr ‘Homestyle’ stocks in the US. ‘He is no stranger to Knorr (a division of mega-conglomerate Unilever), as he’s promoted the company’s boullion cubes in the UK since 2006.’ White claims to have used Knorr stock in his kitchens for 30 years and says: ‘It is my secret ingredient.’ MORE. 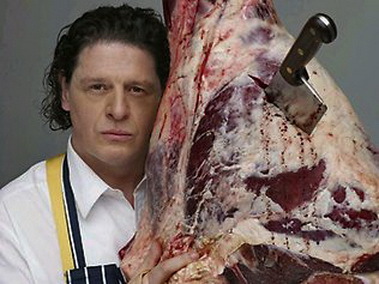 Marco Pierre White making love to a hindquarter (Source: www.eater.com). The surprise is that more and more celebrity chefs are doing more of this and seem happy to trash their own brands in the process. They don’t seem to mind spruiking complete rubbish either. ‘We are excited to once again be supplying the MasterChef Australia pantry with the same great food customers will find in our stores,’ says Simon McDowell from Coles. Should we be excited too? If you know anything about cooking, you know that it starts with quality ingredients. You also know that you don’t find those in Coles or Woolworths, no matter how many celebrity chefs throw their white hats into the ring – and it’s quite a list: in addition to Masterchef regulars Matt Preston, George Calombaris and Gary Mehigan, we have Kylie Kwong, Maggie Beer, Nobu Matsuhisa, Darren Purchese, Frank Camorra, and heavies like Marco Pierre White and Heston Blumenthal. 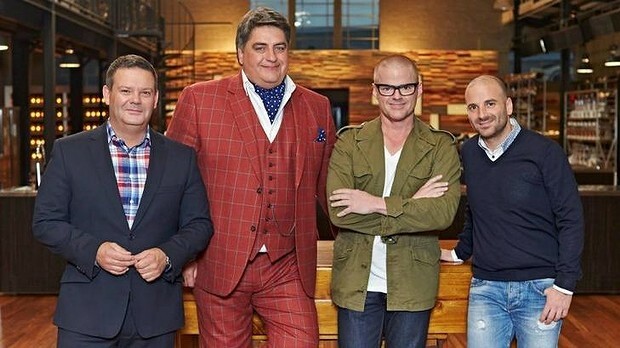 The last two had a few runs-in since Matt Preston credited White with mentoring Blumenthal a while ago: ‘Many famous chefs have passed through his doors – Curtis Stone, Heston Blumenthal, Gordon Ramsay.’ Blumenthal complained that White had made this claim more than once. ‘I saw him in a restaurant a couple of months ago,’ says Blumenthal, ‘and I said, ‘Marco, can you stop telling people that you mentored me?’ MORE. If you know anything about cooking, you know how important quality cookware is. 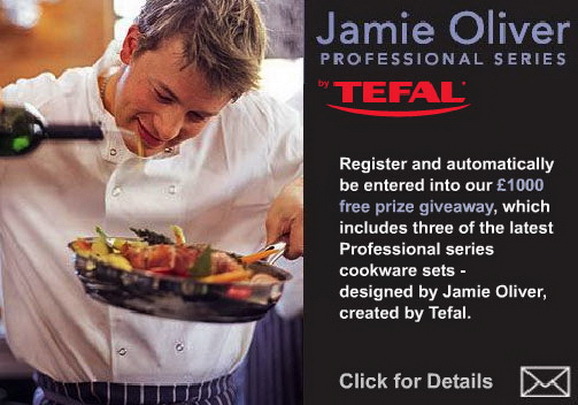 You’ll also know that Tefal doesn’t make quality cookware, and you’ll wonder why on earth Jamie Oliver would put his name on Tefal’s wares. ‘Jamie, you put your name on absolute rubbish here mate,’ writes one sore punter on Amazon’s UK website. Do not buy them!! Another victim says: I was excited when I bought these pans believing that Jamie Oliver would not let us down. Another reviewer says: Please don’t fall for the hype or the association to a celebrity … Jamie – hold your head in shame! There are many more complaints on the Amazon UK website like the ones above, and tales of woe from those who tried to get some recompense from the manufacturer. It’s the same story on another website , but Jamie doesn’t seem to care since his smiling face still adorns Tefal’s packaging. They say truth is the first casualty of war. Reality seems to be the first casualty of Reality TV. Why are celebrity chefs so eager to be part of the deception, so keen to sell their carefully built brands for a pile of money? Or is it the PR? Surely not. How can it be good PR to promote mass produced food and garbage products? How can it be good PR to side with Coles who is known to squeeze their growers against the wall until they can no longer breathe? How can it be good PR to side with a company that has been fined for selling 6-month-old bread as fresh bread? ‘Coles supermarkets are selling bakery goods as ”freshly baked” even though they were made up to six months earlier in Europe,’ the Sydney Morning Herald reports. ‘Croissants, danishes and muffins are being shipped frozen from Germany, Belgium and Denmark.’ Are you getting excited yet? ‘… it’s the end of Heston Week,’ writes Ben Pobjie in the Herald, ‘which means for some of these cooks, it could be their last ever opportunity to dip a hamburger in liquid nitrogen or sculpt pea foam into the shape of a water buffalo.Matt informs the contestants that tonight’s challenge is “all about deception”, like the deception Heston employed to convince the world he was a famous chef. ‘Heston himself, staring down the amateurs like the tightly-wound Thunderbird puppet he is, explains how wonderful it is to eat something that turns out to be a different thing than what the thing you thought it was is. Indeed is that not the essence of dining? Basically that’s the challenge: make a thing that isn’t what you think it is.’ MORE HERE, and it’s mandatory reading. When Woolworths asked its growers to cough up more money for a Jamie Oliver campaign, the media had a field day. ‘Farmers slugged for Woolworths Jamie Oliver campaign,’ was the ABC’s headline. ‘Jamie Oliver levy leaves farmers fuming,’ shouted the Australian. ‘Woolies slugs farmers to pay for Jamie Oliver campaign,’ wrote AdNews. Woolworths said the extra fee it asked growers to pay was voluntary, but an AUSVEG spokesman on ABC’s Landline said that many growers were very unhappy about the situation, ‘but simply aren’t game to refuse to meet the request that’s been given to them by Woolworths.’ AUSVEG has complained to the ACCC, with support from Nick Xenophon. Growers already have to pay Woolworths 3 – 5% for promoting their produce. Standards, ethics and where our sort of food comes from? Just how far are these guys prepared to go for a fridge full of dollars? Not that Jamie needs more dollars. ‘His personal wealth is estimated at £150 million,’ the UK Telegraph tells us, ‘making him the 501st richest person in Britain. It seems Jamie was inspired by ‘the Sicilian street cleaner who has 25 mussels, 10 cherry tomatoes, and a packet of spaghetti for 60 pence, and knocks out the most amazing pasta.’ The Daily Mail goes on to tell us that Jamie Oliver Spaghetti 500g costs £1.75 from Ocado, more than five times Asda Smart Price Spaghetti 500g or Tesco Everyday Value Spaghetti 500g at 32p. In Woolworth stores down under, where Oliver’s products are beginning to appear, it’s much the same story. So it’s not about the ethics of Woolworths and where they source their produce or how they treat their growers, it’s about selling his overpriced products at juicy margins. Not to be outdone, Coles made a deal with Heston Blumenthal late last year. ‘His hidden orange pudding flew off the shelves at Christmas, and now Heston Blumenthal is back with another range of products set to wow consumers,’ reports news.com.au. So whom will Aldi and Costco contract to spruik for them? Are there any celebs left out there who want to destroy the brands they’ve worked so hard to build for themselves? And if so, why? Good article. I didn’t know Heston was a chef. Anyone who serves choc coated bull’s testicles to Germaine Greer is a showman. Thanks Daryl, I didn’t know Heston had served choc coated bull’s testicles to Germaine Greer. 🙂 The man has a sense of humour. Great article. Heston Blooming Hell is a walking talking example of the Emperors New Clothes. He could make deep fried cardboard and everyone would love it. slightly off this topic, but in your everyone benefits from internet stores, where is Vinomofo? 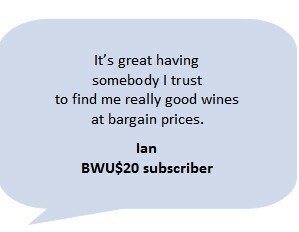 Apologies for the slow response: we don’t use Vinomofo because most of their deals are mystery wines and they’re too hard to work out.